Prebook Item: Please note this item is not currently in stock, but is available for Pre-Order. We do require payment in full in order to reserve stock. 9.4-12.4% AA - Grows well in all climates. Aroma and bittering for pale ales, IPAs, etc. Growing in popularity, this dual purpose hop has very high oil and alpha acid content. Great, neutral bittering and a unique blend of "wild American" and citrus aromas. 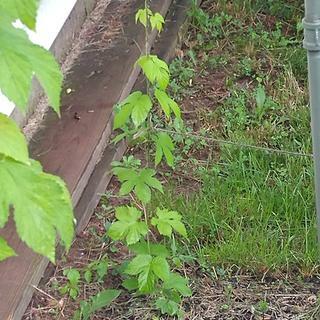 I want to grow my own hops. For my growing conditions Comet looks like a good hop. I know that any hop I grow here in my little corner of the world will not be like the hop I'm purchasing. I'm looking for a hop that will grow well where I live and to make my "house hop." I've come to find myself using this variety more and more. I already grow most of the "C" variety hops and want to try another. I also want to help revitalize some of the classic publicly available varieties. 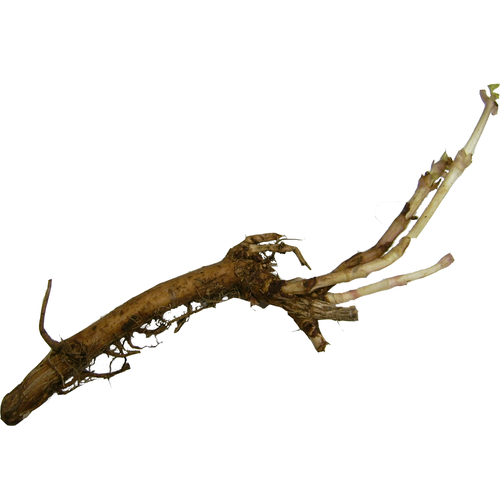 Fresh rhizome that is growing nicely! The rhizome was well-packaged and moist when it arrived. I kept it in the fridge for a couple of weeks until the last freeze was passed, and then planted it in my "hop garden". From the picture, you can see the rhizome has grown to a height of about 2 feet in the six weeks since it was planted. It broke the surface of the soil in a little less than 3 weeks. The Northern Brewer hop in the foreground is a 2nd-year plant, and is already over 18 feet. My other second-year hops are doing about as well. First-year plants will yield a good crop, but as they become more established, they will yield more. I got about 1 pound of wet hops from each of three first-year plants last year (about 4 ounces dried per plant). One plant did not survive (Zeus), and it was replaced this year with the Comet rhizome. Six weeks of growth since planting of new rhizome. only 1 of 2 rhizomes sprouted but that's why I ordered two. One was already sprouting in the bag when I got it.